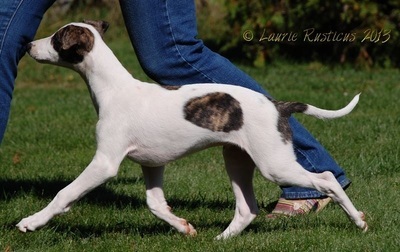 ​​OTTO is from the only North American litter sired by Nori to date. 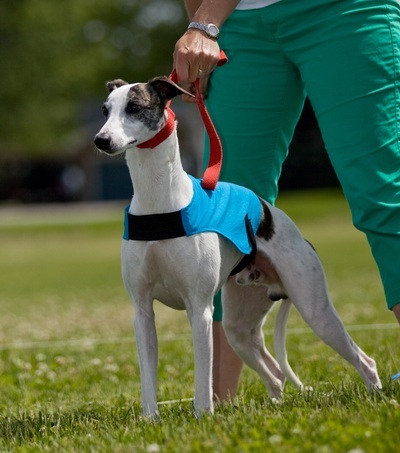 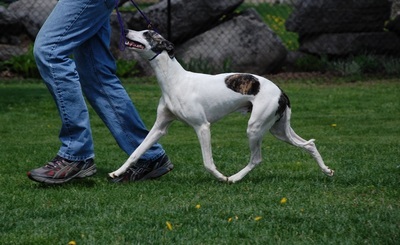 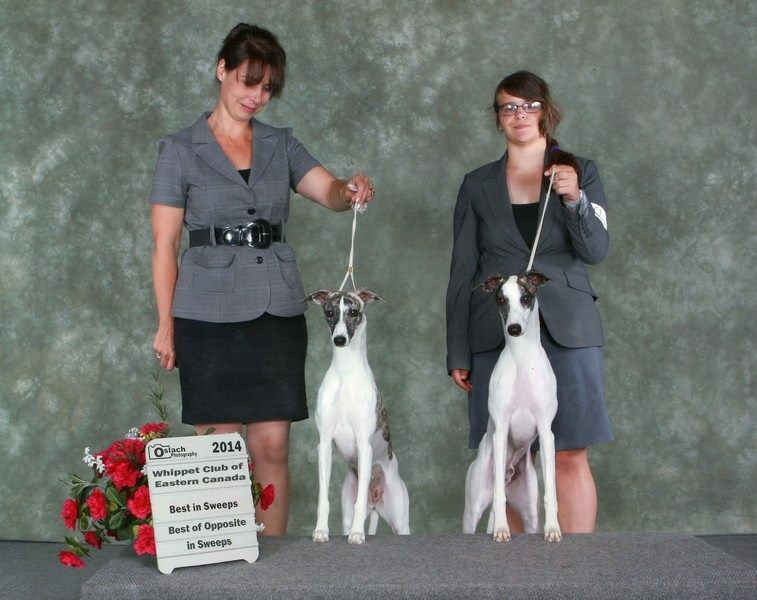 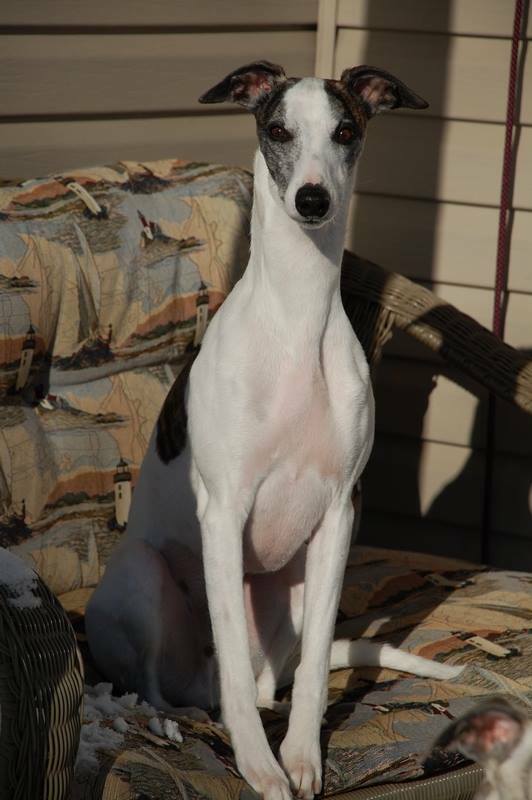 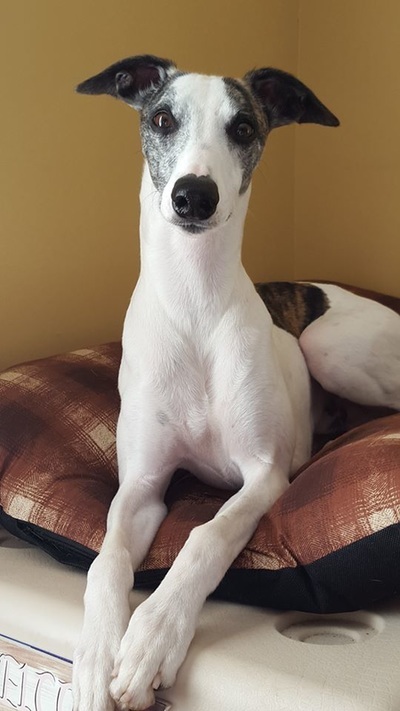 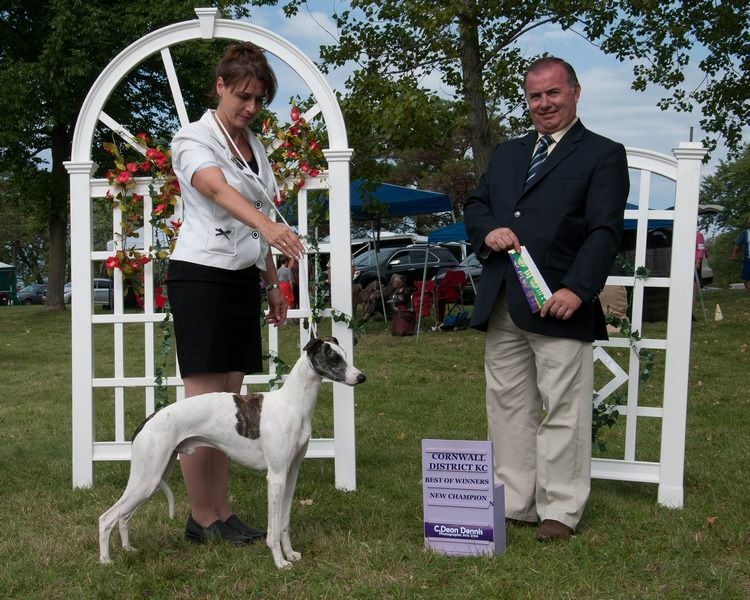 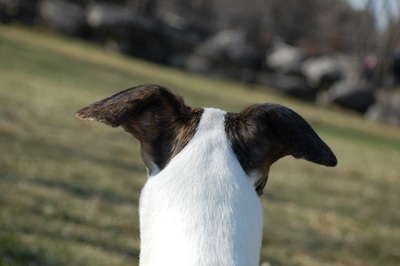 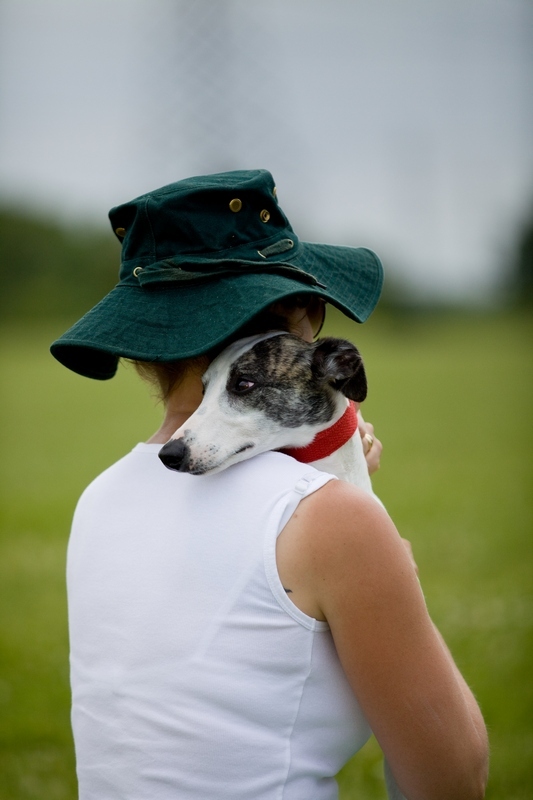 Nori has the distinction of being the first Russian bred whippet to obtain US and Canadian championship titles. 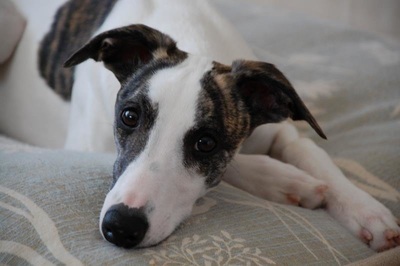 We were entrusted with Nori to live with us at Vrymeer for a summer. 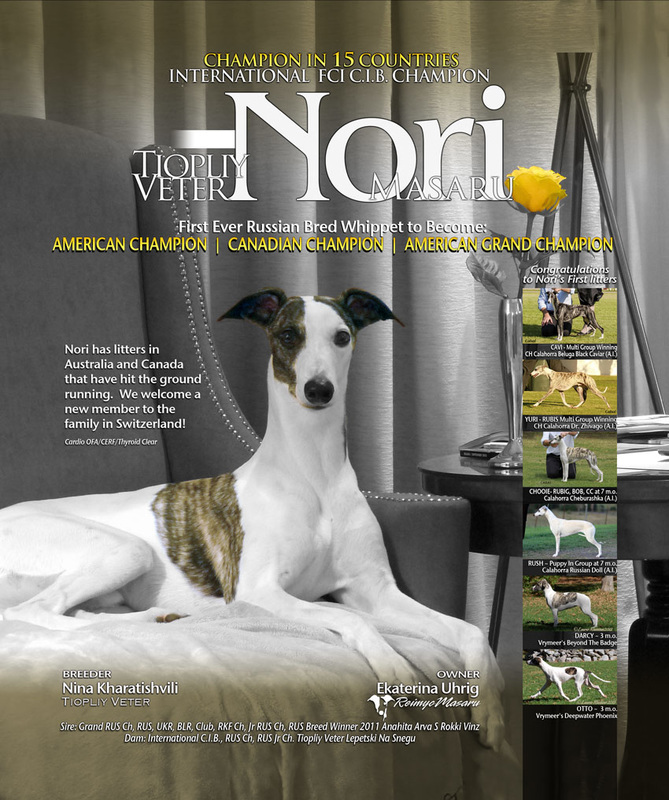 Nori was bred to our lovely Alice and this union resulted in a beautiful litter from which we kept Otto and his sister Darcy. 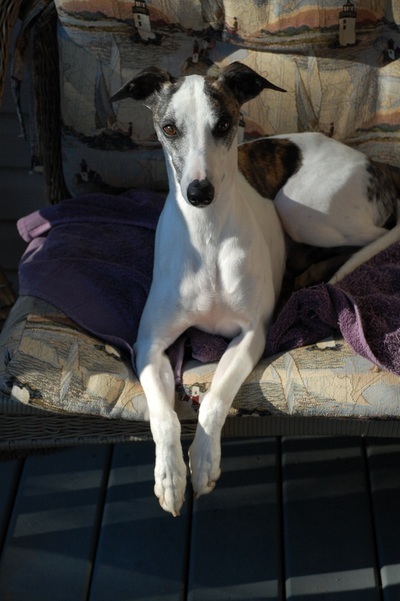 Nori has since returned to live with his family in Germany, and Alice resides with some very special co-owners on Manitoulin Island.